Coming into the series many thought it would be a battle of the goalies that decided the winner of the series and game one of the Stanley Cup Finals proved just that. 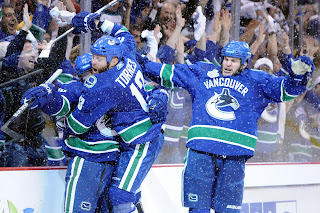 Raffi Torres scored the only goal of the game with 18.5 second left in the third period to give the Canucks both the 1-0 win and series lead over the Boston Bruins. The previous 59 minutes and 42 seconds the two goaltenders were flawless stopping a combined 99 shots but the Canucks needed just one to sneak by Tim Thomas to walk away with a game one victory. Before that shot Thomas had stopped 33 of 33 shot but the 34th shot was the straw that broke the camels back. In a game that had everything from a crushing hip check by Dan Hamhuis on Milan Lucic, to Alex Burrows bitting Patrice Bergeron's finger it was only fitting that the game ended with some late game heroics by a player most would not suspect. With under 20 seconds to play Ryan Kessler came across the Bruins blue line and passed across to Janik Hanssen who completed the play to a streaking Raffi Torres, not known for his scoring ability, and netted the puck behind a sprawling Tim Thomas. Torres capped off a game where both teams had plenty of golden opportunities to score, including a five on three chance for both teams, and take a lead in the game but were turned away by the opposing teams goaltender time after time. Canucks' goalie Roberto Luonog turned away 36 Bruins' shots earning him the shutout and the games number one star. 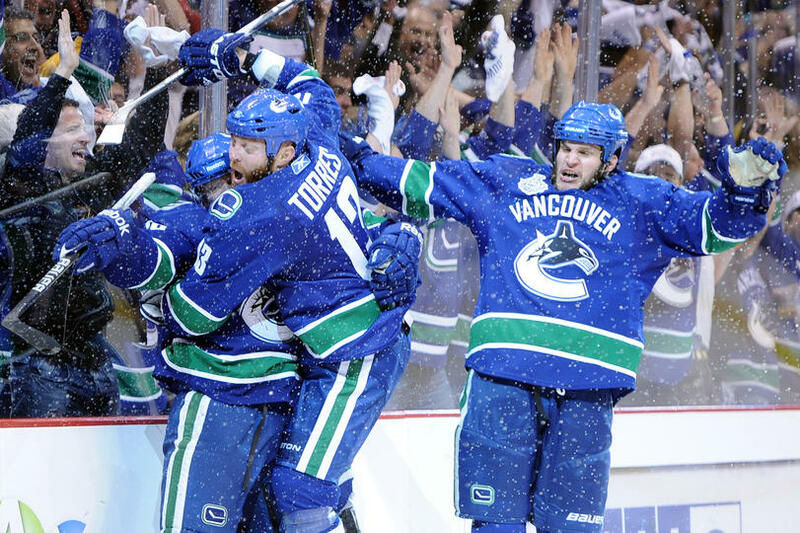 The Boston Bruins and Vancouver Canucks will take to the ice again in game two on June 4th where the Bruins will look to rebound and even the series.